Weither or not your cockatiel will talk will really be up to your tiel. Male tiels tend to whistle and talk more then a female. So if you are getting a teil in the hope that it may someday talk I would recomend that you get a male. My male tiel Oreo already know 6 bird whistles and is able to say hello. Tiels learn best by imitating other birds. Oreo has taught my female, Butercup how to say hello also. The way we got Oreo to whistle was to place their cage near our bird clock. Our bird clock does a diffent bird whistle each hour. He really enjoys this and I would recomend that you go and get a bird clock if you would like to have your bird learn different whistles!! 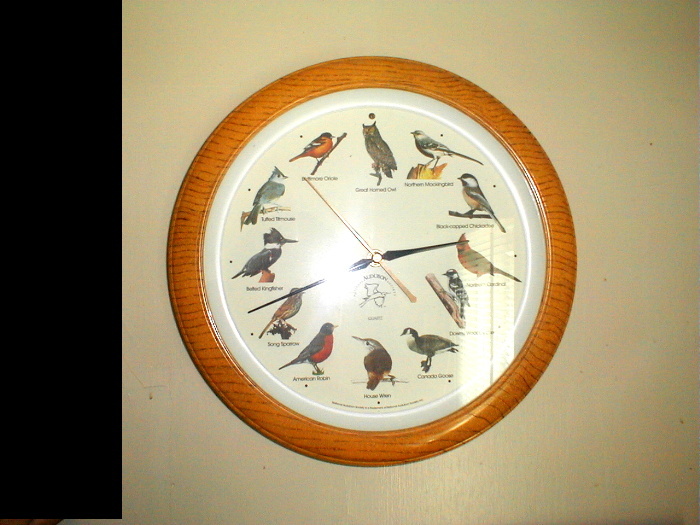 Above is the picture of my bird clock.. My male tiel has learned so many different whistles off of it.